Today, we are happy to share a post from blogger and freelance writer Rachel Sokol. Rachel writes about family, New York life, millennials and technology. 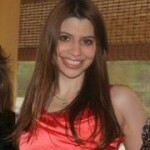 She is a contributor to Millennium magazine, Redbookmag.com, MommyPoppins.com and other other publications. Follow her on Twitter @raymala. Anyway, according to research conducted by TaxSlayer—the leading online tax service provider and savings expert—Millennials have been called “narcissistic” and selfish and are accused of being financially irresponsible and obsessed with instant gratification. Yikes! But are these comments about Millennials true? Let’s find out—as they say in journalism, “Just the Facts, ma’am.” Curious about the spending habits of millennials, TaxSlayer surveyed more than 500 of them, inquiring about their holiday spending habits and plans. What did they discover? This holiday season, they’re pretty frugal with their finances; fighting the unfair stereotype that all they do is spend money, get themselves into debt real fast, and don’t really care—or know much—about saving. When asked if they would risk going into debt during this holiday season, the respondents–often accused of being credit card happy and opening credit lines to afford luxury items—deflated that myth with an overwhelming 78 percent stating they would rather be considered a “Scrooge” than spend too much on holiday shopping. In fact, more than half of respondents said budget was the factor most likely to influence their holiday spending this year. They’re being realistic about their financial situations, and realizing overspending isn’t exactly a great idea as we ease into the New Year. Though they love being able to get nice gifts for everyone on their list, more and more Millennials are morphing into fiscally-minded adults who realize they have a budget to stick to. I definitely budget as best as I can over the holidays, especially since I live in New York, which, as the other 49 U.S. States know quite well, is not a cheap place—at all— to reside, sadly. For starters, I try to shop as early as possible, so I’m not stressed out and running around buying just “anything” for “anyone” that I really just can’t afford. In October, I set up a separate Gmail email account specifically for email coupons from major department stores and little boutiques I like, so I can take advantage of special promotions like 10 to 20 percent off on certain items. Any time you’re at a little boutique you just love, sign yourself up for the mailing list and pay attention to sales and special promotions. I love Cyber Monday because I found some fabulous deals on even little items like chenille gloves, cosmetic bags, and silver bangle bracelets I was able to give out as gifts for Hanukkah and Christmas. When a business says they’re offering free shipping—take advantage of that when shopping online. You’ll be amazed at how much you save on shipping alone. TaxSlayer also found: The majority of Millennials are willing to sacrifice their own lifestyle to ensure loved ones are rewarded. Nearly 20 percent of respondents are willing to eat Ramen Noodles July through December to be sure they have the best gifts for everyone on their list. How kind! When it comes to receiving gifts, Millennials are all about experiences, with nearly 40 percent choosing an experience over luxurious or DIY gifts. Additionally, TaxSlayer reported recently that 34 percent feel buying holiday gifts from the store is old school and instead believe that “spreading DIY cheer” by creating more personalized gifts makes a bigger statement. Thus, if you’re crafty, make something really personalized and special for a loved one, be it a photo album adorned with illustrations on the side, a picture frame, a jewelry box, you get the idea. Back in my 20s—before I had a hubby and a kid—when I was living off Lean Cuisine in NYC trying to get by, I either handmade friends and family members nice cards using crafts I found at Michael’s, or just brought some flowers to family members—it was the best I could do on a limited budget. I also remember one holiday season when I bought family members mini inspirational quote books and a small box of Godiva chocolates from Barnes and Noble—something small and sweet, but not something that cracked open my piggy bank. Listen, everyone is on a budget, except for maybe Jennifer Lawrence, Taylor Swift, and Adele. (Or maybe they are too, who knows?) Your friends, family members and significant other don’t expect you to give them a $150 spa massage gift card this holiday season—hugs, maybe a card, and helping mom and aunt Bertha clean the kitchen after a major party will suffice. This merry season, do the best you can, and don’t stress. Be realistic and logical and relax when spending. Happy holidays!